Grammy Awardwinning salsa musician, actor and political activist Rubén Blades was born to a St. Lucian father and Cuban mother in Panama. His father played bongos and his mother was a musician and actress. So it wasn't a surprise that music also played a central role in his life. But what some don't know about him is that he earned a law degree from the University of Panama before his family was sent into exile by Manuel Noriega, then head of military intelligence, because his father, once a member of the secret police, had butted heads with the future dictator. After they settled in New York City, Blades' music career took off. But he was still drawn to academia and law. In 1985, he earned a master's degree in international law from Harvard. When he returned to Panama in 1994, he campaigned for the presidency, combining music and politics by campaigning with songs and his guitar. But his efforts were largely in vain. Though he garnered some support, his campaign was ultimately underfinanced and some people thought his time outside the country left him out of touch with Panamanian issues. He placed third with only 17% of the vote, but went on to serve as Minister of Tourism under Panamanian President Martín Torrijos. 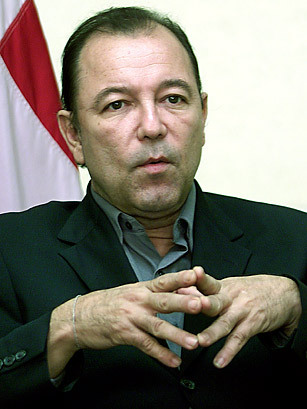 Read TIME's 1990 profile of Rubén Blades.